So as we wrapped up our great day traveling to rope bridges and giants’ homes with Wayne from Extreme Ireland tours, we headed back south towards Dublin with a stop in Belfast. Wayne set us up with his friends from a Belfast black Taxi Tour Company to learn more about the politics of Belfast, Northern Ireland, Britain, and the Republic of Ireland. If you want a good, quick synopsis of the Troubles, please check out this Wikipedia link (don’t hate – Dr. Robert Connolly writes of the scholarly values of Wiki here). Important for ALL historians to remember. 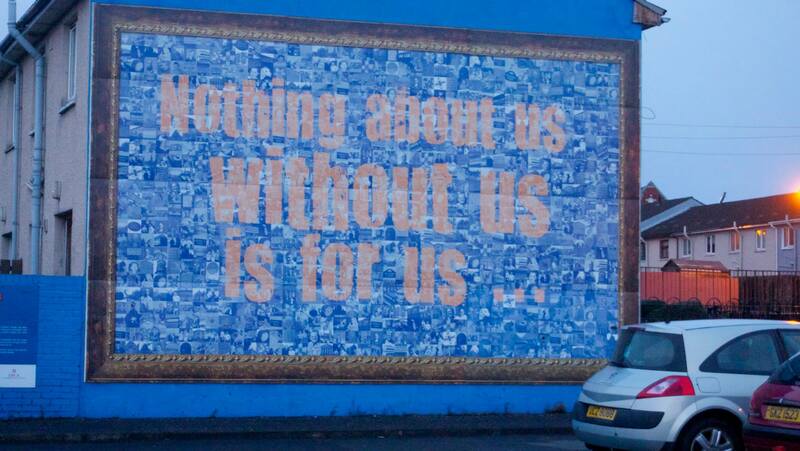 Mural in Belfast. 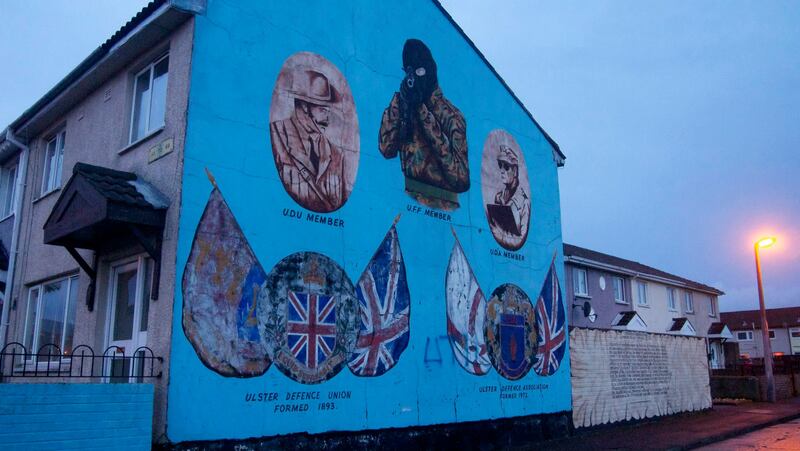 At the very smallest, most basic level – Irish Catholics and British Protestants fought for years with various terrorist groups on both sides wreaking havoc in Northern Ireland, the Republic of Ireland, and even in England and other places; this time is called “The Troubles” and officially lasted from the late 1960s until 1998. 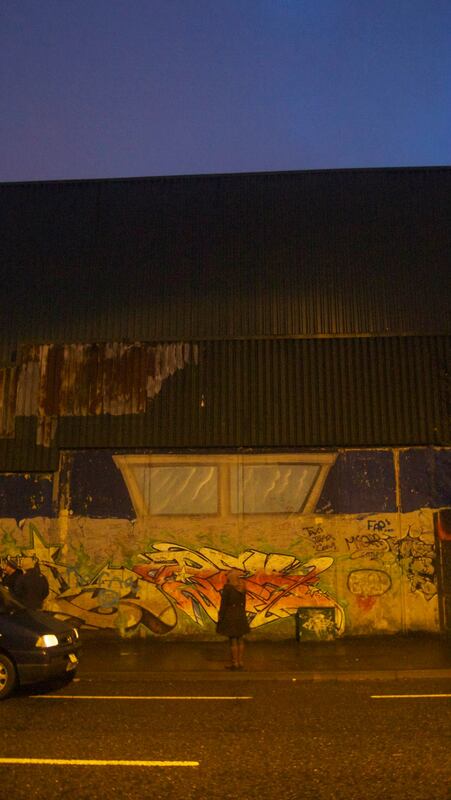 Violence has still occurred since then, and during the weeks leading up to our visit to Belfast a car bomb exploded. The tour started in the City Center by the City Hall. We had 2 guides, who both grew up during the Troubles in Belfast; they didn’t tell us which side they grew up on, so as we went through the tour we tried to guess from their biases which side they were on. We hopped into the cabs and were off to see the city. How terrifying would it be to see this every day, and know it was aimed at you or your ancestors? We started in the “English” section, which is dotted with memorial murals commemorating the English heroes of the Troubles and religious conflicts. We talked about the Hunger Strikes, the various violent conflicts, and others calling for peace and reconciliation. There are memorials on both sides, and for just about everything. There are many sources online that document each mural. Next we went to the Peace Wall, which was an incredible sight to see. The wall is up to 40 feet or more in some places – high enough to prevent people from throwing grenades or shells over to the other side. The violence that occurred here (and still does) is astounding to me. This blog, “WTF Wednesdays: Belfast Peace Walls” by the Everywhereist really does a good job of explaining how I felt seeing the walls and on the tour in general. We wrote our own messages on the walls, reflected on their purpose and the fact that they still exist, and moved into the Irish neighborhoods. There is a lot of talk about whether or not the Peace Walls or the murals should remain, and I hope to tackle that question from the preservation/reconciliation side in the future. In the meantime, read more about it here, here, here, and here. There is also a lot of talk among residents, found here, and here. Another good article about architecture and conflict is available here. One we passed through a gate in the walls to the Irish side, we visited a memorial on Bombay Street. Here, the neighborhood had constructed a memorial to those killed, just in that one neighborhood, as a direct result of the Troubles. 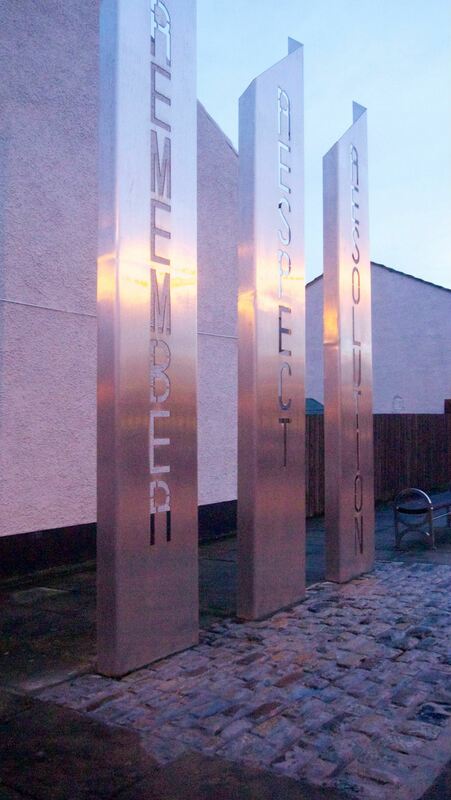 The Clonard Martyrs Memorial Garden lists each name and stands directly in the shadow of the walls. The Conflict Archive on the Internet posted a video tour of the memorial on youtube here. 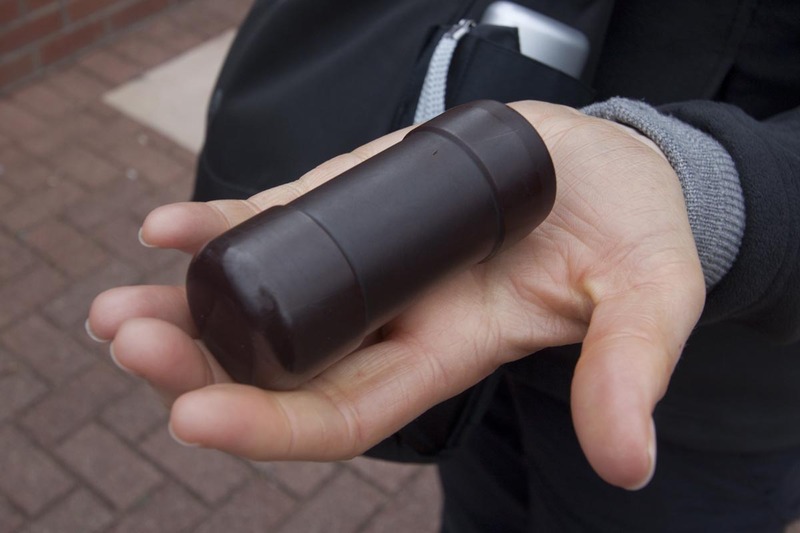 While we were at the memorial, the guides showed us the “non-lethal” rubber bullets that killed so many people in the Irish neighborhoods. Dominic Marron is considered the most recent death as a result of plastic bullets. He passed away in 2004 from complications related to being shot at the age of 15 in 1981. The memorial and all the names of those killed or injured or otherwise impacted by the Troubles made a huge impression on us. At the end of the tour, we guessed which sides our tour guides grew up on; based on the tours, we guessed that one was English and the other was Irish – turns out both were raised on the Irish side! They did a fantastic job telling the whole story without letting their own personal biases show, which shows an incredible amount of forgiveness and/or professionalism. The presentation of such recent and fresh difficult histories brings any problems and questions; I hope to address these more soon. Another public history aspect of the murals is Belfast has to do with preservation of the murals: can they be preserved, and should they be? What feelings do they still stir among residents or visitors? I was only 12 when the Good Friday Peace Agreement was signed, so I can barely remember seeing some of the violence on the news. This tour, the information I learned from Wayne, the tour at Kilmainham, and during my travels around Ireland really struck a chord with me. As I said at the beginning of this post, I really hope to explore this history more. 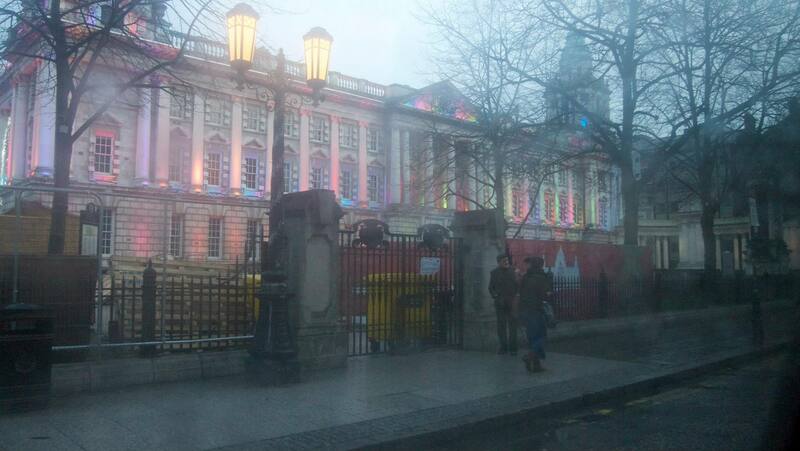 There is DEFINITELY another trip to Belfast in our future to learn more. The question of safety in Belfast always comes up among tourists and concerned friends and family. Our tour guides assured us that it is one of the top destinations for tourist, and the Visit Belfast website (albeit a obviously biased site!) lists all of the awards and lists they have made over the past several years. I will admit that hearing about the car bombing the same month I visited, the topics of the tour, and the general gloom of the evening when we were there made me somewhat uneasy. That won’t stop me from coming back, however! If you have any personal stories related to the Troubles, please comment below or contact me – I’d love to learn more about it. only true Wikipedia “haters” are neo-Luddite elitists. Too true, RC. Too true. Very interesting read Katie… I told you about my personal experiences of the troubles.